If you’re a new or beginning cryptocurrency trader, you’ve likely noticed there’s a bit of a learning curve. Even if you have experience trading stocks, options, or futures, getting acclimated to the cryptocurrency space can take some time. Fortunately, you’re not alone — there are a variety of helpful resources you can tap to become a better trader. With that in mind, let’s take a closer look at some of the most relevant crypto trading tools and industry news resources on the market. Disclaimer: The following details about cryptocurrency trading are not advice, and you are urged to exercise due diligence before investing in any market, platform or cryptocurrency. No matter the asset you’re trading, it’s vitally important to be equipped with the right tools for the job. For most of us, that means a combination of cutting-edge trading software and up-to-the-minute industry news resources. With these bases covered, traders will have the information they need to identify opportunities and the necessary tools to execute them. To help put you on the right track, we suggest exploring the following cryptocurrency resources. While it’s not a comprehensive list, it will help you start trading with confidence. Access to current price and market data is essential for traders, and CoinMarketCap is the cryptosphere’s most popular resource for such information. The CoinMarketCap website aggregates price information from all major exchanges, giving traders a one-stop shop to compare prices across platforms. CoinMarketCap also includes key data such as 24-hour volume, market cap ranking, biggest gainers and losers and exchange listings for coins and tokens. The site also hosts charts with historical price data for most coins — a valuable resource for just about every trader. 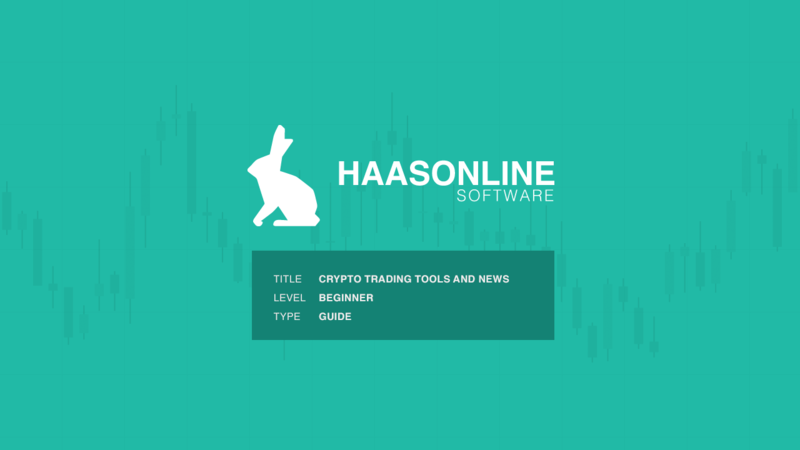 This tool benefits traders at any step of the process, as it offers a plethora of useful information organized in one, easy-to-navigate website. This makes it one of the top online destinations for most cryptocurrency traders seeking up-to-date information. Teaching yourself the basics of how to invest in cryptocurrency must be the first step of your journey as a cryptocurrency investor. CryptoManiaks is an authoritative cryptocurrency learning platform dedicated to new cryptocurrency investors, where you’ll learn how to get started, from purchasing your first cryptocurrency to securely storing them. CryptoManiaks also offers simplified descriptions for over 70 coins and a myriad of strategic guides that feature strategies every cryptocurrency investor should be aware of. This knowledge will help you make better investment decisions, instantly. For those willing to fast track through cryptocurrency investing, CryptoManiaks also offers a premium course. However, the majority of their content is free and should be sufficient to get started. For newer cryptocurrency traders, it often takes a while to become comfortable, as the market is very different from more conventional asset classes. HTS offers a smart solution to this problem by easing the stress and worry that often plague inexperienced traders by automating the process. Instead of trading manually, traders rely on sophisticated algorithms to identify money-making opportunities — everything from arbitrage to automatic buying and selling triggered by defined events. The benefits of algorithmic trading are substantial: trades are executed at the best prices, the odds of user error are dramatically lowered, and traders can leverage opportunities around the clock. Overall, algorithmic trading can allow for faster and more accurate trades at a lower cost. These tools are suited for traders of all experience and skill levels and are useful at any point in the trading process. One thing that digital currency traders learn quickly is that the market is highly sensitive to news, events, and developments. If a cryptocurrency project achieves a significant milestone in its development roadmap ( a mainnet launch, for example), significant price movement may follow. The same may hold true for other events, such as high-profile developer conferences. This means it’s imperative for traders to stay current with high-profile events — and that’s often a tall order in a fast-evolving space with thousands of projects. An online cryptocurrency calendar, such as CoinMarketCal or Coindar, is one of the easiest ways to track these events. By using a calendar to stay current with all upcoming releases and events, traders can make informed decisions and seize opportunities as they arise. Like CoinMarketCap, cryptocurrency calendars are resources with broad appeal, meaning that it’s a tool that belongs in almost every trader’s arsenal. Let’s say you’re a new cryptocurrency trader and you’re storing your digital assets on a few different exchanges. How can you track your portfolio’s performance across multiple platforms? Portfolio management apps like Blockfolio and Cointracking provide an easy solution to this dilemma. They allow you to manage and monitor your entire cryptocurrency portfolio from a single app. At HTS, we also offer a portfolio management feature to our users. This feature is available inside HaasOnline Trade Server and provides you with tracking capabilities for all your crypto related assets and investments on every exchange you’ve connected to HTS. You also have the option to track external wallets. In recent years, portfolio management apps have also integrated new features, including development updates from project leaders, news feeds, and profit/loss tracking, all of which can help you make more informed trades. While these apps aren’t strictly necessary for new or limited investors who perhaps only use a single exchange, those who trade across multiple platforms are likely to find these tools to be essential. Experienced traders recognize that the best ideas can emerge from anywhere. Additionally, crowd sentiment is often an essential barometer of impending market movement. Tools such as TradingView — a social platform which allows users to create charts and share trading strategies — can play an important role in the generation of fresh ideas and approaches. In addition to allowing users to share ideas and content, TradingView also provides market data for most major asset classes and technical analysis scripts. This is a tool that offers benefits for traders of varying skill levels. Newer traders can crowdsource fresh ideas, while those with more experience can take advantage of sophisticated charting tools and other options. Because TradingView can help identify emerging patterns and trends, it’s a resource that’s typically used early in the trading process. Advanced tools can help optimize your trading processes, but you’ll still need plenty of actionable data to maximize your returns. In other words, you need constant access to the latest in crypto news. CoinDesk. Launched in 2013, CoinDesk is one of the oldest and most established digital publications specializing in cryptocurrency and blockchain. In addition to covering breaking news, the CoinDesk website offers market data and research. While CoinDesk has a full-time staff of professional reporters, they do accept freelance pitches. CoinTelegraph. Based in New York, CoinTelegraph is another prominent voice in the crypto industry press. The publication offers a mix of breaking industry news and educational resources, along with market data. Like CoinDesk, CoinTelegraph has a full-time staff but is open for submissions. Investing.com. A global financial portal, Investing.com offers news, quotes, technical data, charts, and other tools. This resource is not strictly focused on cryptocurrency, as it was founded in 2007 to cover the Forex market. Investing.com is open for submissions. BitcoinTalk.org. One of the oldest and most respected online venues for digital asset conversations, BitcoinTalk.org is a discussion board in the classic sense. While the interface is basic and somewhat retro, the discussions here are often very high-level and full of useful information for traders. Readers can find information about new technical developments, new project announcements, and just about anything else that’s relevant in the world of cryptocurrency. Anyone who registers can post. The best traders understand that preparation is essential to performance. By equipping yourself with the right tools, news resources, and your own thorough research, you’ll have everything you need to make informed trades. If you’re looking to gain an edge through the use of algorithmic trading, we urge you to explore one of the most powerfully advanced trading bots on the market today.